Comeback #1 (Image): I like Michael Walsh’s art a lot. Not entirely unlike Sean Phillips or Matthew Southworth. Bellaire’s colors, too, add quite a bit to the flow of the story–a story that shirks narration for the better. The premise is interesting enough and is developed well with crisp dialogue amongst characters who are relatively familiar. Nice twist at the end. All together, worth another issue. 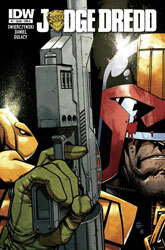 Judge Dredd #1 (IDW): Didn’t do it for me. I haven’t read any Dredd in the past; figured I’d give it a shot. A bit too silly for me. Just not what I expected, I suppose. It’s a one-and-done, for me. Clone #1 (Image): I wanted it to grab me, but it didn’t. The premise seems like one I’d like to see play out–especially after reading Schulner’s post-story explanation. 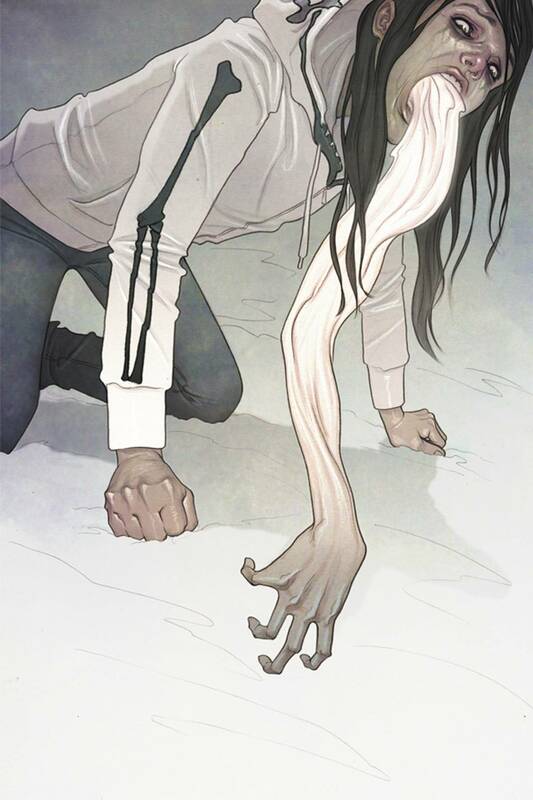 I was put off by the wishy-washy dialogue and Ryp’s art. His characters’ faces bothered me a bit too much; I couldn’t stand looking at them after a while! (Probably says more about me than anything else.) I’m not planning on picking up #2–unless it comes out during a light week. Wonder Woman #14 (DC): Enjoyable enough. Siracca’s backstory and her coming together with Diana are serviceable steps. (They’re framed by two two-page teasers, the first about an old god and the last about The New Gods. I’m liking the former and kind of concerned about the latter. We’ll see.) A bit of a drag that Cliff Chiang’s on cover duties but not inside anywhere. Tony Akins isn’t terrible, but he can be inconsistent at times. Remains a fixture on my pull list, which has been shedding hero books of late. 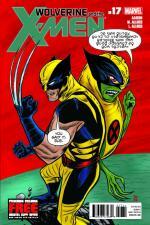 Wolverine and the X-Men #21 (Marvel): Yup, I’ve officially removed it from the aforementioned pull list. (If you haven’t see me go off about the previous issue, click here.) Sure, Aaron sneaks in a very funny “Avengers vs. X-Men 2” comment–to provide a possible explanation as to where all the suddenly missing adults have run off to; but it’s buried beneath an ever-growing pile of Who gives a $#!%? As a result, it’s see ya later. To think I used to look forward to this. Yikes. Ultimate Spider-Man #17 (Marvel): I’ve spoken of the danger of the crossover in previous posts. This title has taken it on the chin for several weeks now. We’re up to three below-standard issues in a row–unacceptable for a title that was killing it with otherworldly character development by Bendis, who clearly has no use for this United We Stand nonsense. If things don’t turn back to Miles soon, I’m off. X-O Manowar #7 (Valiant): This title was getting a bit rough with the unnecessary insinuation of Ninjak. (Is Ninjak ever necessary?) I’m happy to report that this issue picked it up a bit with the growing Vine story and the disarmingly delightful Vine commando unit target practice. Finally executed well, this team-up lives to fill my bag for another month. 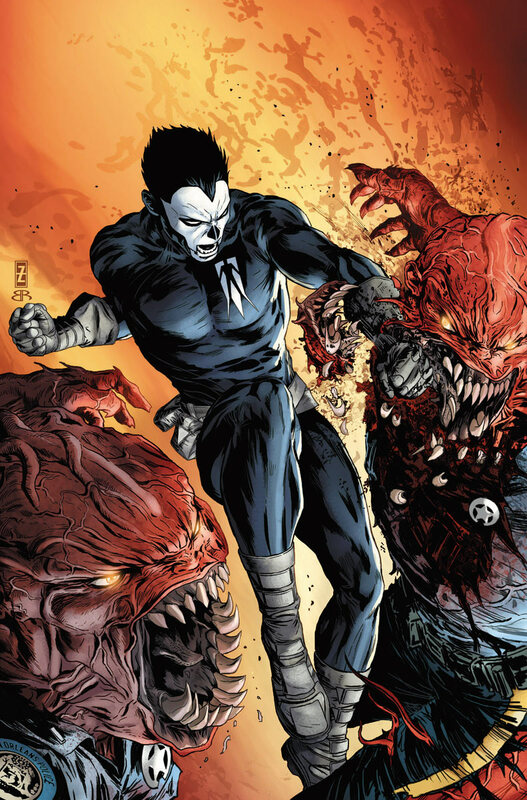 Harbinger #6 (Valiant): My favorite issue of Harbinger so far. Kris is a character I’d like to hear more from. With my luck, this is a transitional issue that puts her in play but ultimately leaves her voice behind. I hope not. I also like Faith’s psiot persona, Zephyr. She’s like something out of Mieville’s terrific Dial H. Solid stuff from Dysart, Briones, and Hannin. The Rocketeer: Cargo of Doom #4 (IDW): Out with a whimper. Oh well. Plenty of tricks so far this week. Here’s hoping for at least a few treats out of this bunch. Action Comics Annual #1: No Grant Morrison??? I’m scared! 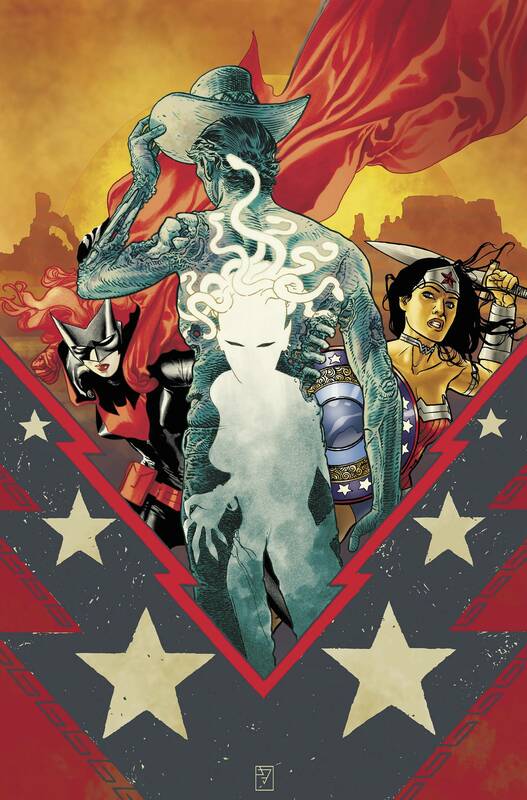 Justice League Dark Annual #1: Now here’s a book in the spirit of Halloween! Swamp Thing Annual #1: I hope someone gets his or her head chomped off. I like when that happens–in comics, anyway. You know you do to. Happy #2: Phew. Making up for missing Morrison on Action. Fatale #9: Killer series from Ed Brubaker and Sean Phillips. Ultimate Spider-Man #16.1: There’s literally nothing scarier than a Marvel .1 book. Geez. Winter Soldier #12: This is the winter of Brubaker’s Marvel content. 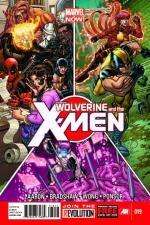 Wolverine and the X-Men #19: It’s nineteen issues in and I’m still surprised by how good it is month to month. 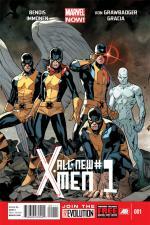 Now that AvX is over, this book should really shine–especially with the NOW! nonsense popping up around it. The Rocketeer: Cargo of Doom #3: Expected to see this a couple of weeks ago. Here’s to hoping it hits the rack this week. With their work on this series and on Daredevil, Mark Waid and Chris Samnee have established themselves as the team to beat. 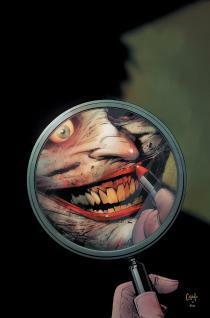 Batman #13: Snyder plus Joker equals sold. Frankenstein: Agent of S.H.A.D.E. #13: Yes, we Kindt! 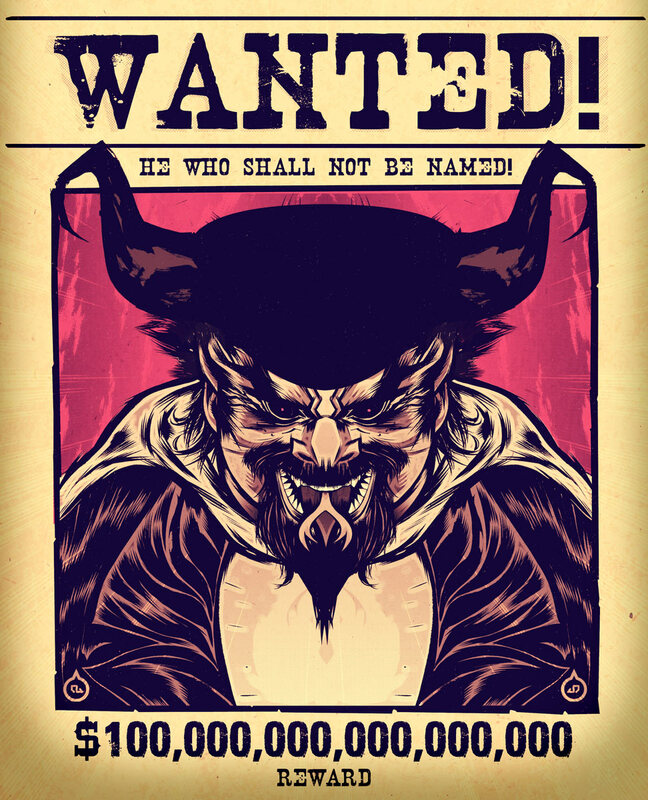 Wolverine and the X-Men #18: I’m just going to believe. Not trust. Believe. Uncanny Avengers #1: Why the hell not? It’s not like I have to sign a contract or anything. Secret Service #4: Once this series is done with, I think I’ll be done with Millar.